When thinking about Hurricane Sandy and its gruesome aftermath my mind went to the above verses. The man asleep in the boat, during a raging storm, is Jesus. The “they” who wake him up and ask for salvation from the storm are his disciples. They are afraid. Anyone who has ever been on boat in rough seas or worse can attest to the feeling. For all our technological know-how and boat building skills there are times when even the most skilled sailor and well-built water craft are at the mercy of a storm. 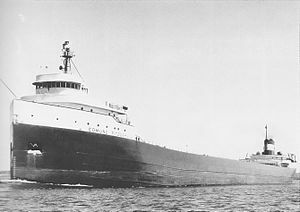 Think the Edmund Fitzgerald here. That bugs us. There is something outside of ourselves that we cannot control and because we cannot control it we fear it. And in many cases what we really fear is death, just as Jesus’ disciples did that day on the boat in a raging storm. Death is the ultimate grim reality that we cannot control. All die, it’s just a question of when and the disciples are probably thinking the storm could be the means of their deaths. This is a fascinating story on a number of levels and raises some interesting questions. The disciples wake Jesus and ask for salvation from the storm which has to mean they had a certain measure of faith to parallel their panic. In other words if they didn’t believe that Jesus could do something about the storm then why wake him up? Wake him they did and then they earn a rebuke in the process. Jesus tells them they have little faith while asking them why do they fear. The word “little” does not mean “small” as if we were talking about a small child or small portion of food. The better meaning for “little” is “deficient.” Jesus’ question to them is a bit rhetorical meaning that he answers it himself while asking it. The rebuke is not harsh in my opinion. It’s pastoral, it’s a correction to their thinking. He is saying to his friends you are afraid because you have a deficient understanding of who I am. They had an inkling of who he was but it was deficient in some way. Jesus seeks to correct the deficiency. If we were to back up in Matthew’s gospel we would see a couple of other demonstrations of Jesus’ power. 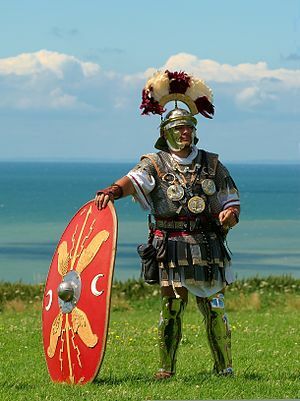 In Matthew 8:5-13 we see a remarkable encounter with a Roman Centurion (a Gentile, meaning non-Jew). His servant is ill. He tells Jesus his servant is paralyzed. Jesus offers to come to the Centurion’s home. The Centurion replies that Jesus need not come but only make a pronouncement and the servant will recover. Jesus says he has never found such faith in all Israel (and here it is from a Roman gentile!!!!). The Centurion’s faith is not deficient or small, it is sufficient. The disciples witness a servant being healed and the servant is not even present! Astonishing! Who is this man that can do that? The disciples witness the healing of Peter’s mother-in-law and so they bring more people to be healed including some who actually have demons! Jesus tosses out demons and heals many! Astonishing! Who is this man who exercises power over physical diseases and even over demonic powers? Amazing! Then why, after seeing the power that can reverse the effects of the fall do they waver in the boat? I think it’s one thing to witness someone else near death and quite another to realize your own life is on the line.When it is someone else near death or suffering it is not as personal when you have the disease or your life is in the cross hairs of death. It’s one thing to see Jesus heal a person and cast out demons and quite another to believe that he can do something about a raging storm (that may have been coupled with an earthquake) that is clearly threatening your life. Now it is intensely personal! It is moments like that, when it’s personal, when we who have little or no control want to believe that God is in control, at least some of us anyway. And he does have control, as Jesus demonstrates by speaking a word of rebuke to the storm. Calm ensues, just like that! I do not know precisely what the disciples expected when they woke Jesus up. The text does not say. but clearly their astonished response that included asking who is this man who even the wind and waves obey indicates their expectations were less than a storm be calmed by a word or rebuke (correction) that meant, this is the way it’s supposed to be. If we are not wowed by this or worse, if we do not believe it really happened then it points to a deficient view of the effects of the fall and a deficient faith and a deficient view of who Jesus is. Those deficiencies are serious, perhaps eternally so. Let’s get real. There are times when we recognize that there is something broken in the world and we come face-to-face with it. A storm rages and millions of people are affected, some die, perhaps hundreds of thousands as in the tsunami of 2004. A loved one is killed in Afghanistan or Libya. That’s not the way it’s supposed to be. And it’s not. Creation is messed up, it’s broken. The effects of the fall are everywhere if we would only notice and more importantly admit it! We fail to understand that the price of Adam’s fall and our own sin that aggravates Adam’s is a broken creation and it is only at times when a life-threatening storm of some sort do some of us cry out, Lord save us” because we know we cannot rescue ourselves from the storms of life or from a death that is worse than physical. It’s times like that we are the disciples in the boat. After the storm is calmed the disciples are marveled (amazed, astonished). What sort of man is this, that he can conquer a broken creation with a word from his lips. Where ever he goes he demonstrates a power that is astonishing. No mere ethical teacher is this man, but someone who can conquer a broken creation with a word. Someone who has control, someone who can save a soul from eternal death. The disciples learn just a little more about who Jesus is. Whatever else Hurricane Sandy was it is a grim reminder of our weaknesses, our limitations, our inability to control everything with our wonderful technology. Our government will respond to the aftermath of Sandy like it always does with aide, with money, with the means to rebuild. Millions will expect salvation from the government and from private charities. There is nothing wrong with that but it tends to dampen down what the real issue is and where real salvation lies. For some, Hurricane Sandy and it’s aftermath will be a decision point. Will I cry out to the only one who can save me or will I go on with my life and hope this sort of thing never happens again? But we know, in our heart or hearts it will happen again. We all have an appointment with death. Salvation, the kind that eternally matters, lies asleep in the storm. The only question is who will you turn to in the hurricane of your life? May it be the God-man Jesus.